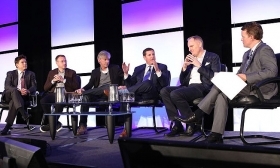 SAN FRANCISCO -- Third-party shopping sites are far from an endangered species, despite AutoNation's much-publicized effort to reduce reliance on those sites by building its own online presence, panelists said at the Automotive News Retail Forum. Consumers want to comparison-shop, and they want unbiased information that third-party sites provide, said Alex Vetter, CEO of Cars.com. John Krafcik, president of TrueCar Inc., seconded that opinion, saying few groups have the size and resources to strike out on their own and create websites sufficient to try to attract all the business they need internally. Krafcik, another panelist, said auto retailing remains a highly fragmented business with few big players. Consequently, dealers will continue to rely on the marketing power and technology that independent sites bring to bear to channel customers to dealers, he said. 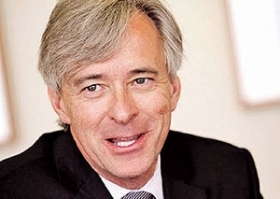 TrueCar intends to spend $100 million on advertising this year. "The fact is that there are a lot of prospects on those sites," said Dean Evans, who represented LotLinx on the panel. "And whether you are a dealer or a manufacturer, you need to access those customers if you want to conquest and grow." Shaun Del Grande, who owns the Del Grande Dealer Group based in San Jose, Calif., with 15 stores, said dealers generally have been slow to embrace online shopping and have themselves to blame for their reliance on third-party sites. He said they serve a necessary role when they partner with dealers to help improve in-store processes so staff know how far along in the shopping journey a shopper is before entering the store. That transparency is key to what Edmunds.com is doing with its Price Promise, which allows participating dealers to provide shoppers with a guaranteed price online, said CEO Avi Steinlauf. Steinlauf said Edmunds.com is requiring all of its dealers to join the program because that level of transparency without haggling is what the modern shopper requires.